Product liability litigation isn’t just limited to claims related to auto accidents or claims against medical device manufacturers; it can also be brought in relation to alleged labeling and deception claims. Take, for example, the recent lawsuit filed against the company Halo Top by a consumer who claims that he was tricked into purchasing light ice cream when he thought it was “regular” ice cream. In reality, this could technically constitute a viable product liability claim if the product does not obviously meet the legal standards of what is considered to be real “ice cream.” Specifically, the claimant in this case is alleging that the product did not make it clear to the consumer that it was “light ice cream” and that the brand name (“Halo Top”) is misleading because consumers associate the word “halo” with yellow, the color associated with “real” butter and cream. The Food and Drug Administration (FDA) regulates approximately 80 percent of the U.S. food supply, including dairy products. The Federal Food, Drug, and Cosmetic Act (FDCA) and Nutrition and Labeling Education Act provide the FDA with the power to promulgate food definitions and standards, including nutritional labeling (such as “low fat”). While the FDCA prohibits misbranding of food–including any false or misleading labels–the Federal Trade Commission Act prohibits false advertising that is misleading in a material respect. In other words, while the FDA is responsible for food labeling, the FTC is responsible for ensuring that food product advertising is not misleading and is, instead, truthful. In addition, inspectors have to review the labels of at least three food products at any manufacturer during any food safety inspection. According to the FDA regulations, if an ice cream-like product contains less than 10 percent milk fat, it must be labeled “light.” Other than this specificity, the FDA is rather vague in terms of how products should be labeled, which can sometimes open up the door for litigation against law-abiding manufacturers. Monitoring and enforcement of labeling practices; developing a food labeling monitoring system; as well as instructing inspectors on how to identify potential claims. However, the FDA arguably lacks the regulatory authority to effectively monitor alleged false and mislabeling practices. At Colvin, Saenz, Rodriguez & Kennamer L.L.P. 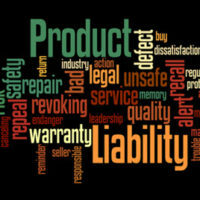 in Brownsville, we provide skilled legal representation in product liability defense in all types of cases, including arguably frivolous labeling claims like these, offering our protection to manufacturers facing any type of liability claim. We know what’s at stake; contact us today to schedule a consultation.